For a number of years, I have written Christmas devotionals during the Advent season. This page contains all the Christmas posts in one location. When the story of 18th century western church history is told, there are three names that simply must be included: John and Charles Wesley and George Whitfield. Growing up within the Church of England, these three men each came to a genuine faith in Christ later in life. After their conversions, these men followed Christ in a radical way, spreading the knowledge of Christ to the common people. These three men were some of the early fathers of American Evangelicalism because they had an interest in taking the Gospel of Jesus Christ to people wherever they were. Instead of staying inside large stone cathedrals, these men took to the open air, holding outdoor revival meetings and church services where thousands were in attendance. In a day before microphones and high tech audio/visual equipment, Whitfield alone preached to as many as 30,000 people in one audience! Given their common threads, it is not a surprise that these men were friends and had a great deal of respect for each other’s ministry, even though they had some theological differences. Charles Wesley wrote over 7,500 hymns in his lifetime. Some of these hymns were incorporated into Whitfield’s open air revival meetings. One of Wesley’s hymns that Whitfield used was a hymn Wesley titled, “Hark, How the Welkin Rings!” (The word “welkin” means “vault of heavens”.) This song had the same tune as another famous Wesley hymn, “Christ the Lord is Risen Today!” Whitfield loved the song, but did not care for the opening line. He changed the opening line to further connect this song with the birth of Christ. 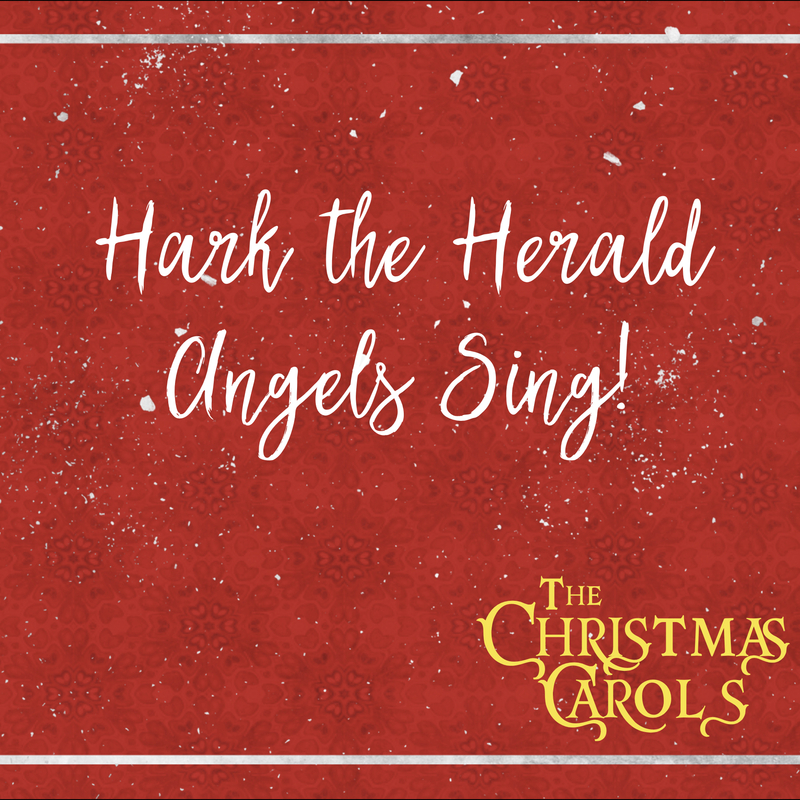 His new first line was the now famous, “Hark the Herald Angels Sing!” Whitfield made this change, but never asked his friend Wesley for permission to do so. This outraged Wesley. Even after Whitfield’s version grew in popularity and became very well know, Wesley refused to acknowledge or sing the Whitfield abridged version of his song. Can you imagine that? 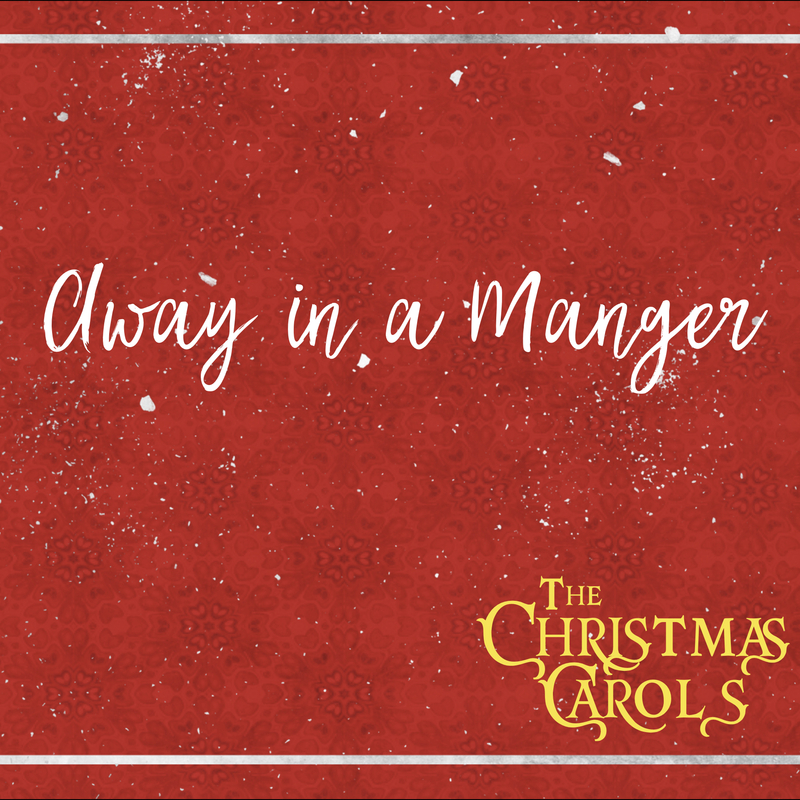 The author of one of the most famous Christmas songs ever written never sang it! About 100 years later the tune was changed to the current form by Felix Mendelsson. What are your Christmas traditions? What do you do every year at Christmas time that you would be very upset if it changed? For some it is the day and time that presents are opened. For others it is the songs that you “should sing” in church or on Christmas Eve. For others it is a particular service (and time) that must be attended or a particular passage of Scripture that must be the text for that service. Whatever it is, there are somethings that just “have to happen” in order for it to be Christmas for you. What happens if your form changes? What happens if you open presents on Christmas day instead of Christmas Eve? What happens if you sing “Manger Throne” instead of “Silent Night”? 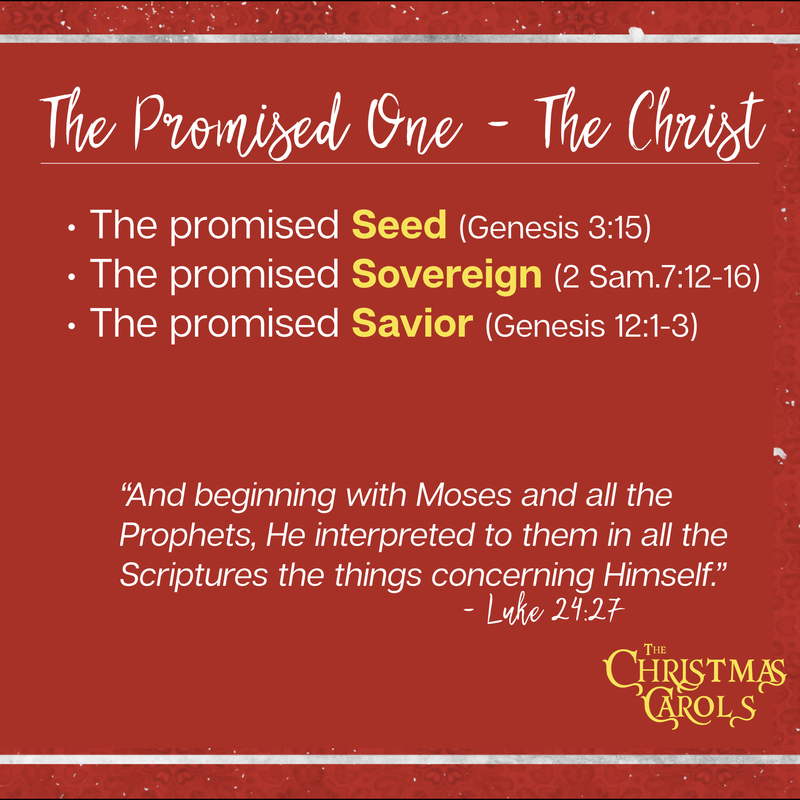 What happens if the “wrong passage” is preached at the Christmas service? If these changes happen, will you refuse to sing? May we learn something from Wesley’s folly. May we learn that most of the traditions we embrace today have evolved over time. Santa Claus has not always been at the mall, Candles weren’t always a part of Christmas Eve services, and at one time, it was the “Welkin,” not the “Herald Angels” that were ringing/singing. At one time, maybe the greatest Christmas hymn in existence today sounded like an Easter song to our modern ear. The key is not the form, but the spirit behind it. Whitfield and Mendelssohn improved Wesley’s hymn. Is it possible that God might be using some of the changes in your Christmas worship celebrations to increase your soul’s rejoicing this season? Don’t refuse to sing. 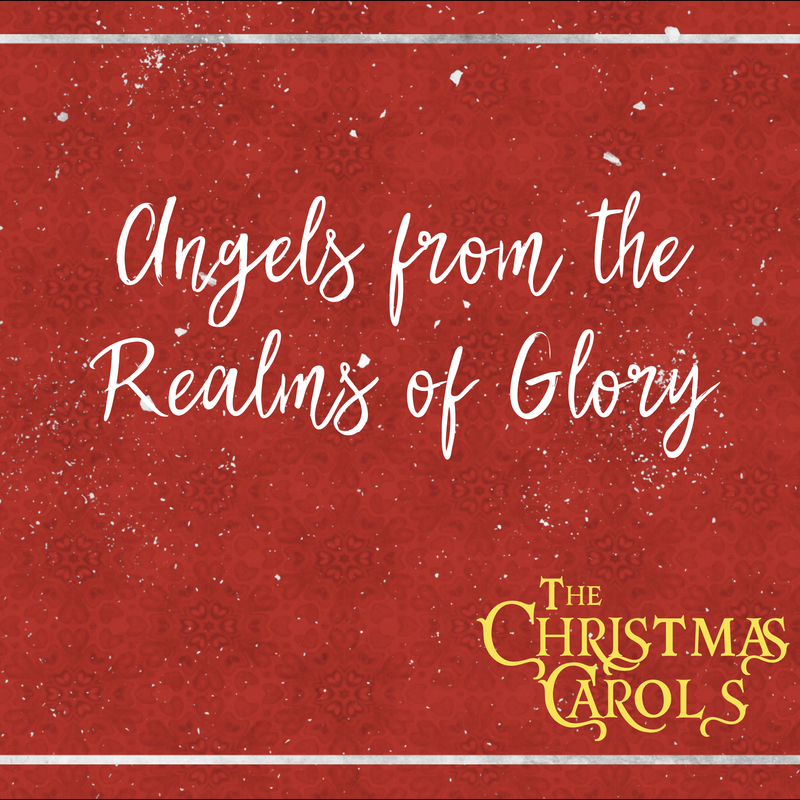 Join the angel chorus and worship Christ the new born King! Imagine that you were the shepherds that first Christmas night. You were gathered out on the hillsides surrounding Bethlehem watching your livestock. You were bundled up to keep warm. Having never been a rancher or taken care of any animal larger than a Beagle, I have a hard time imagining what they were doing. My best guess is that they were sitting by the fire . . . maybe singing a song. As the they sat there, these shepherds saw an impressive sight. It is hard for me to imagine what shepherds were doing on that Christmas night, but it was even harder for the shepherds to imagine the sight they were getting ready to behold. Out of no where angels appeared in the sky singing a new song. They were singing “Gloria in Excelies Deo!” For me today, it is easy to imagine the shepherds seeing the angels . . . this is a story I have heard since I was born . . . but for the shepherds, this was a very “out of the ordinary” situation. It was not normal for them to see angels on the hillside. This was a unique event! The angels told the shepherds to go to Bethlehem and see a baby which was the Savior of the world. The shepherds quickly took off for Bethlehem. Can you imagine the conversation they may have had with each other all the way to the stable? “I wonder what He looks like? What could this all mean? I wonder if everyone got this same announcement . . . if so, I wonder how long we will have to wait in line?! ?” The questions would have no doubt fired back and forth throughout their walk/run to the manger. Upon arriving on the scene, however, I am sure the shepherds were probably scratching their heads a bit. There was no line outside the stable filled with government and religious dignitaries and local celebrities. Upon entering the stable, the place smelled more like a barn full of animals than the temple incense. As they approached the baby in the manger, no halo circled His head, and the child was probably crying for His mother to give Him more milk. While the text does not say it, I am guessing that the shepherds were probably wondering (either aloud or to each other) if they had heard the angels correctly. Given the disparity between what they saw and what they had heard, these old school cowboys were placed in a spot that is very familiar to us . . . they were being asked to take God at His Word. I walk through this story today because many times as I read the Christmas story I think, if only all people could see what the shepherds saw then all people would believe that Jesus is the Savior of the world. To my old way of thinking, the shepherds, based on what they had seen, would not have needed a lot of faith to believe in Jesus as their Savior. The reality, though, is that I still think it took LOTS OF FAITH for the shepherds to believe. In fact, they did not have some of the benefits that we have. When the shepherds saw Jesus in Bethlehem, they had never heard Jesus preach; they had never seen Him work miracles; they had never imagined the cross; they had never conceived the empty tomb. While they had an angel declaration, there were many facts of the story that they did not have. Based on what they knew, they were asked to take God at His Word (through the angels) and trust Him with the rest. As people today, we have record of His preaching, miracles, death and resurrection. We have the testimony of 2,000 years of Church History, and the corroborating evidence of ancient historians. Given that, however, we have never seen Jesus face to face, and angels have not visited us on hillsides. Based on what we know, however, we are asked to take God at His Word (through the Bible) and trust Him with the rest. When we do this, great blessings come our way. The Apostle Peter wrote a letter to the first generation of Christians who were growing up in our present reality . . . people who had the testimony of eye-witnesses and the Scripture, but had not physically seen Jesus. To this group (to us) Peter writes in 1 Peter 1:8-9, “Though you have not seen Him, you love Him, and even though you do not see Him now, you believe in Him and are filled with an inexpressible and glorious joy, for you are receiving the goal of your faith, the salvation of your souls.” Peter celebrates the faith of those who have not seen Jesus, but still love and believe in Him. This verse of Scripture is talking to you and me! 1 Peter 1:8-9 further indicates that when we believe in Jesus based on what we know (but have not seen), we reap the same benefits that His first followers experienced, “an inexpressible joy” (“Good news of Great Joy”) and “the salvation of our souls” (“a Savior has been born to you; He is Christ the Lord”). At first glance, it appears that we have very little in common with the shepherds that first Christmas night, but in the end, we have something big in common . . . we are both being asked to embrace by faith that the child born in Bethlehem is our Savior, Christ the Lord. Upon hearing this announcement this Christmas will you run to the manger as the shepherds did? Will you believe in Him based on what you know and trust Him for the things that are harder for you to understand? If you will, then joy and salvation await. Those are two Christmas gifts that are on everyone’s list. Today, sing “Angels we Have Heard on High” and remember the story of the shepherds and what we share in common with them. Great music is timeless. Some songs are as powerful and contemporary today as they were when they were written hundreds of years ago. Great music transports us to a place beyond time, where lyrics and melodies can speak to many generations at once. This is one of the great things about music. However, because of music’s timeless quality, sometimes we forget that songs are written inside of time. The setting and context into which a hymn is written often times gives us great insight into the song’s meaning. 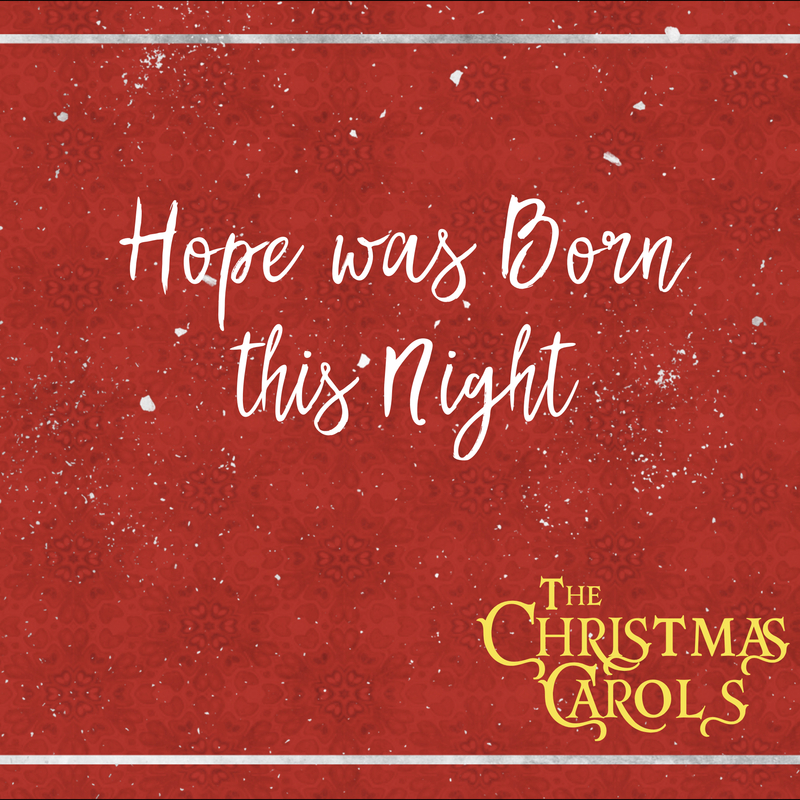 Today we are going to look at a Christmas hymn whose message was prompted by the setting out of which it was written. “It Came Upon a Midnight Clear” was written in 1849 by a pastor from Massachusetts, Edmund Sears. As Sears wrote this song, he was reflecting on the tensions that were rising around him. The United States was just 12 years from the Civil War, and trouble was already brewing. Out of this context, Sears drew comfort from the words that the Angels spoke to the shepherds on the night of Jesus birth declaring “Glory to God in the highest, and on earth peace to men on whom His favor rests (Luke 2:14).” In the dark of night, a new light shone that would provide peace for the people on the earth. This song begins 2,000 years ago with the angels, “bending near the earth to touch their harps of gold.” It continues to talk about the contemporary experience of mankind who are “beneath life’s crushing load, whose forms are bending low.” The song climaxes with a look at the future where “the whole world sends back the song which now the angels sing.” In other words, the promise of the angels of peace on earth will ultimately be fulfilled when Christ returns. Think of all the wars that have been fought all over the world since the time of Christ’s birth in Bethlehem. Sears saw the Civil War, but billions more have seen many others. The earth has hardly been a peaceful place for the last two millenia. However, the promise of the angels will ultimately be fulfilled. Peace will fill the earth for those who trust in Christ upon His second coming. We look forward to that day . . . and we sing. May the latest U.S. conflicts in Afghanistan and Iraq not obscure the reality that the Prince of Peace will one day reign, and earthly armies will forever enter parade rest. 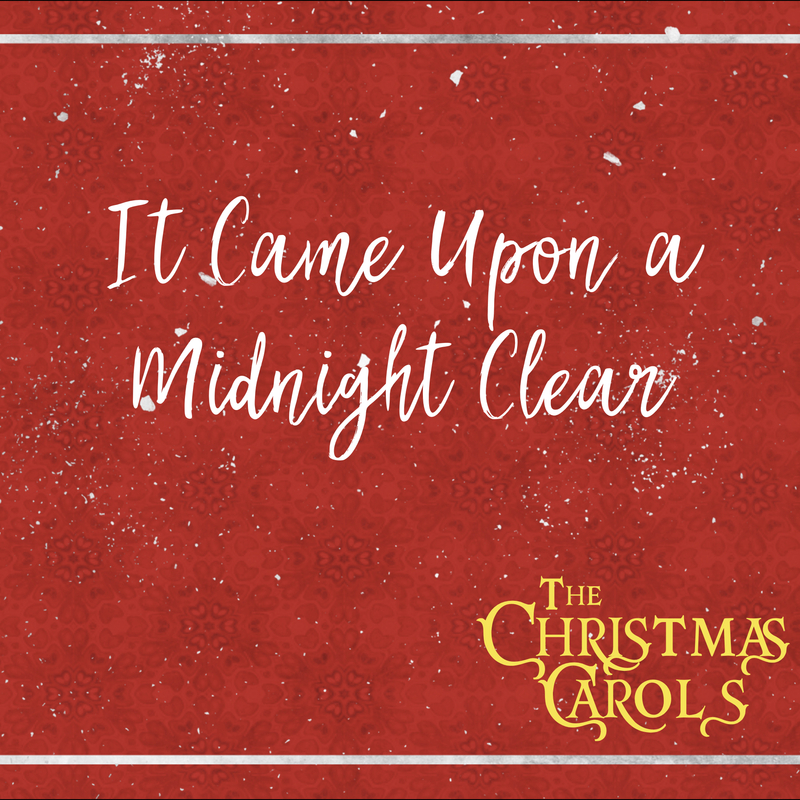 Sing “It Came Upon A Midnight Clear” as a cry for peace this year. And ever o’er its Babel sounds The blessed angels sing. Oh, hush the noise, ye men of strife And hear the angels sing. Oh, rest beside the weary road, And hear the angels sing! Can you relate to this classic setup from the 1965 classic “A Charlie Brown Christmas”? What is Christmas all about? As Linus tells Charlie Brown, Christmas is all about the birth of a Child: Jesus Christ. Christmas is a “birthday” celebration. This is reflected in both the words “Noel” and “nativity” (words of both Latin and French origins meaning “arisen by birth”). Christmas is about the celebration of life that arises from Jesus’ birth. What is this “second birth” spoken of in this song? How can we celebrate the birth of Jesus AND the re-birth of millions (including our own lives) this Christmas? We will take a look at that this Sunday at Wildwood Community Church in our 8:30, 9:45, and 11:00 worship services. 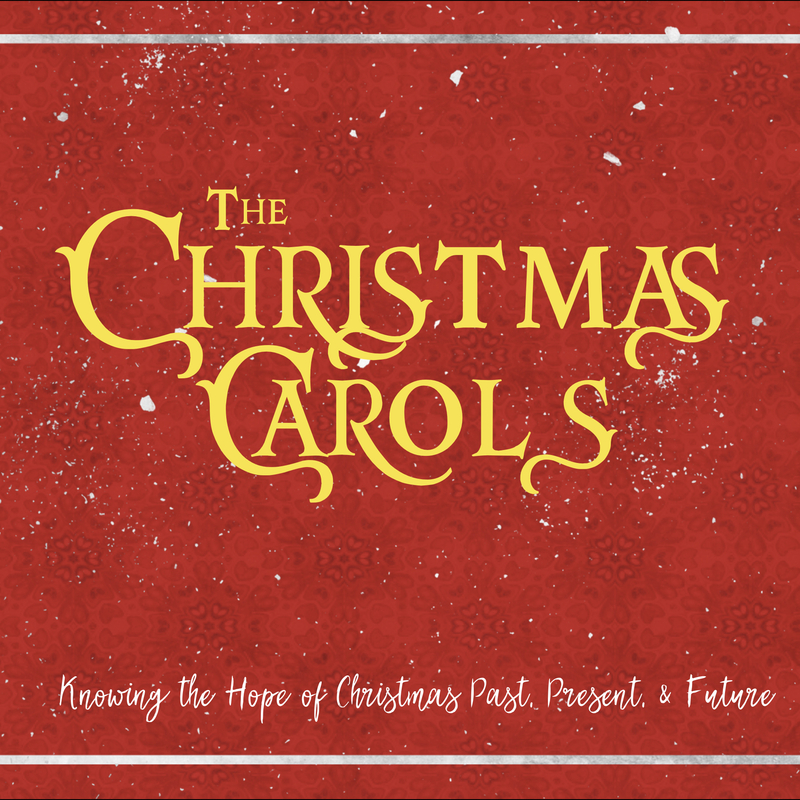 We will be in part 4 of “The Christmas Carols” series, focusing on the song “Hark! 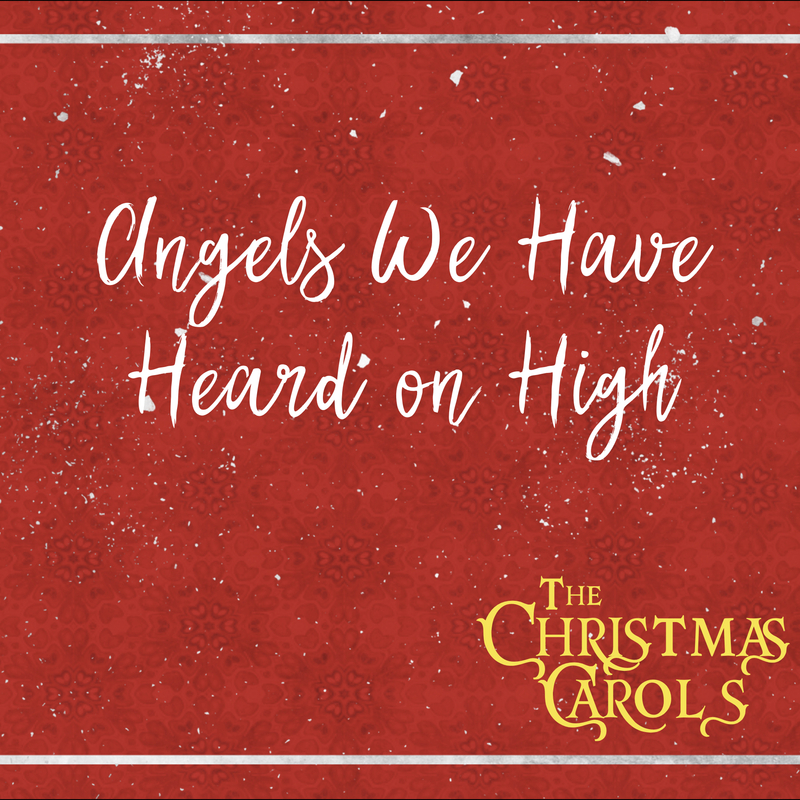 The Herald Angels Sing” and its roots in Luke 2:8-14, John 3:1-16, and 1 Peter 1:3-9. Make plans to worship with us as we open the “present” of new birth this Sunday morning. See you there . . . and bring your friends and family with you! Journalist James Montgomery wrote a poem that ran on Christmas Eve 1816 in his London paper. This poem (“Angels from the Realms of Glory”) would later be set to music by a blind organist, and the song has been sung for over 200 years now in churches all over the world. Given that the music was written by a blind man, I love (in particular) the third verse of this song that says, “Sages, leave your contemplations; brighter visions beam afar; Seek the Great Desire of Nations; Ye have seen His natal star.” Of course the direct reference of the lyric points to the Magi (the sage foreigners) who saw the brighter vision of the Christmas star and went to check it out (see Matthew 2:1-12). However, this brighter vision need not be confined to only the first century. A very common miracle that Jesus worked was giving sight to the blind. This is both a physical miracle, but also a picture of what He would do for you and me — giving us spiritual eyes so we can see who He really is (Matthew 13:10-17). 2,000 years after the birth of Jesus, Jesus wants us to see Him for who He really is . . . the Son of God, and the Savior of the World. May the eyes of our hearts be enlightened so that we may know Him (and the blessing He gives to us) more this year (Ephesians 1:18). Take a moment today and sing Montgomery’s song, and pray for a deeper relationship with Jesus Christ this Christmas season. To th’ eternal Three in One. Hope is a necessary thing. It is not a luxury. It is not an option. We may need water and food and air to survive, but we need hope to thrive. So how do we have hope? Where is our hope found? In this dark world, is there a light at the end of the tunnel, or is that flicker an oncoming train? In Psalm 42:5a, the Psalmist asks a very important question, “Why are you cast down, O my soul, and why are you in turmoil within me?” In other words, life is hard! My spirit feels crushed! I am prone to discouragement! Under the tree of my life today I can see more hardships than blessings. What am I to do? Is your soul cast down today? Are you in turmoil? The Psalmist continues with the solution to our down cast soul, “Hope in God; for I shall again praise Him, my salvation and my God.” The solution for our spirit today is hope for tomorrow. Hope for tomorrow means that we do not believe that today (or yesterday) was the best things will ever be. We are tempted to think that our past was the “good old days.” As we age, we are also tempted to think that the end of our lives will only be about loss: loss of health, deaths of friends and families, activities we can no longer enjoy. With this perspective, our past or our present are the pinnacles of existence, and everything else is simply downhill. If our perspective is only earth bound, then there may be some truth to this existential depression. However, if we know the God of the universe, we have access to an unending hope . . . because our hope is anchored to something OUTSIDE this life. God is eternal. When we “hope in God” we connect our perspective to Him. In eternity, we are saved. In eternity, our broken and breaking bodies are upgraded to an imperishable sort. In eternity, God richly provides for all our needs. In eternity, we do not sin or struggle. With this eternal perspective, we can have hope now! When Jesus was born in Bethlehem, God demonstrated His intimate connection between the world in which we live and His eternal order. Jesus came here to give us a tangible and living hope, to provide a way for us to enter eternity. When we place our faith in Christ, we can have a hope today based on what He has promised us tomorrow. And Christmas is a reminder of that. “You have found it! The right song! God be praised!” said the organist to Priest Joseph Mohr at a Catholic Church in the Austrian Alps just before Christmas 1818. The organ had broken down, and the Priest and his musician were trying to compose a song that would be fitting the majesty of Christmas, but would not require the booming sound of the organ. 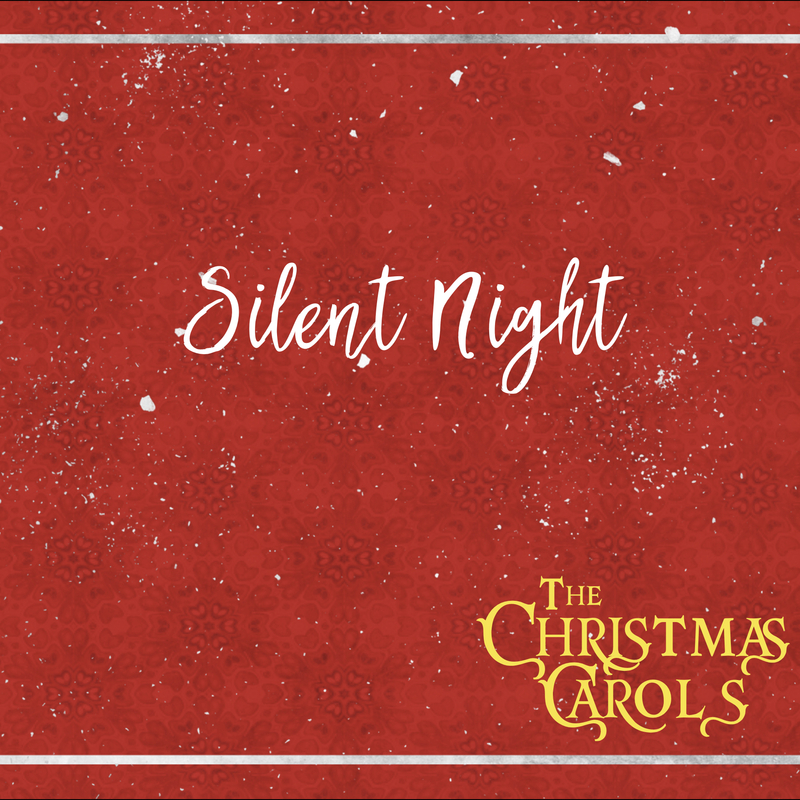 The simple song that was written (to be accompanied by a guitar), was “Silent Night.” This Christmas, this song celebrates its 200th birthday! What a gift born out of necessity. “Contemporary” styled Church music (with guitars and other instruments) have been around a long time! Just think, if the organ had not broken, this song might never have been written. As a Pastor who has planned a lot of Christmas services, I can only imagine that the broken organ was a major inconvenience and potentially a discouragement during the holiday season. But God took this challenge and (in the midst of it) gave the church an enduring gift. Romans 8:28 reflects on the sovereignty of God by saying, “And we know that for those who love God all things work together for good, for those who are called according to His purpose.” God is able to take the broken instruments in our lives and work through them to make a beautiful song. As you sing “Silent Night” this year, remember where it came from. Think about the things in your life right now that seem out of tune. Trust the Lord to work through them for good. On Sunday, December 16, 2018 at Wildwood Community Church, I preached a sermon based on Matthew 2:1-10 (and select other passages). 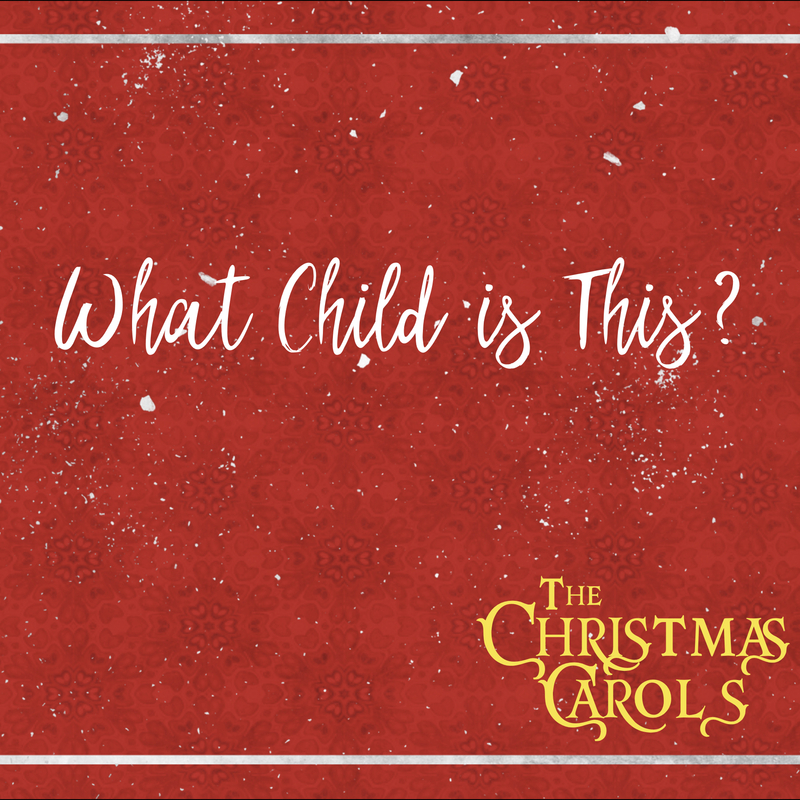 This message was part 3 in “The Christmas Carols” series and highlighted the hope behind the song, “What Child is This?” Below is the audio from the sermon to listen to or share. On Sunday, December 16, 2018 at Wildwood Community Church, I preached a sermon based on Matthew 1:1, 2:1-2, 10-11. 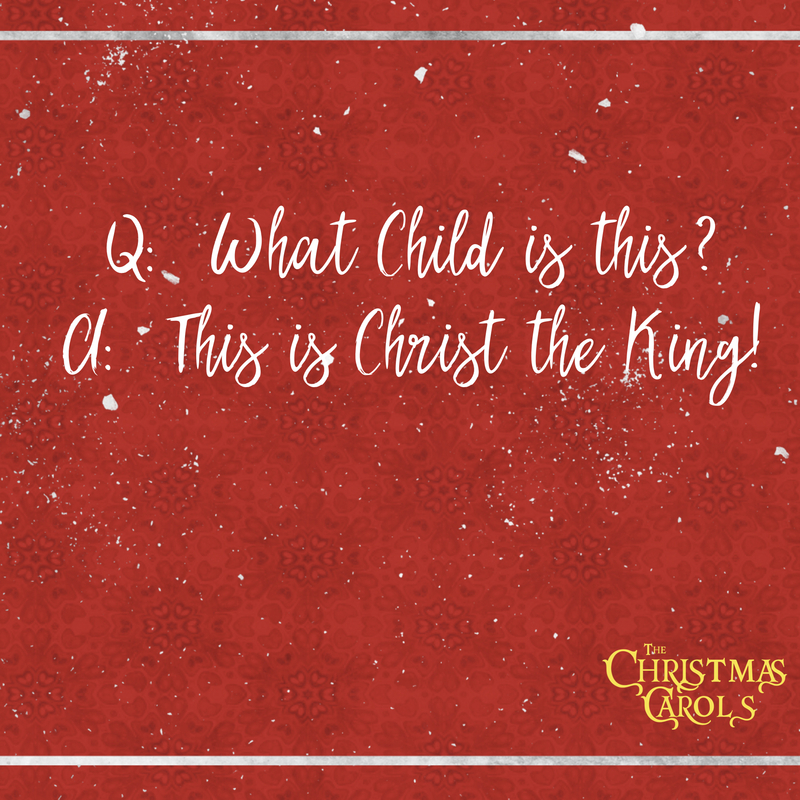 This message also focused on the chorus of the song “What Child is This” and was part 3 in “The Christmas Carols” sermon series. Below are a set of questions related to the message for personal reflection or group discussion. Jesus is “the Christ.” What is your best understanding of what this title means? Jesus is the promised One who brings victory over Satan, righteous rule among the nations of the earth, and forgiveness from our sins. In the past 30 days, brainstorm some challenges you have faced. Then take a moment to thank God for how (in Christ Jesus), these challenges are addressed. What is the revelation that you have received about Jesus Christ. Make a list. In what ways do you need to reorient your life to make your relationship with Jesus Christ a priority for you? 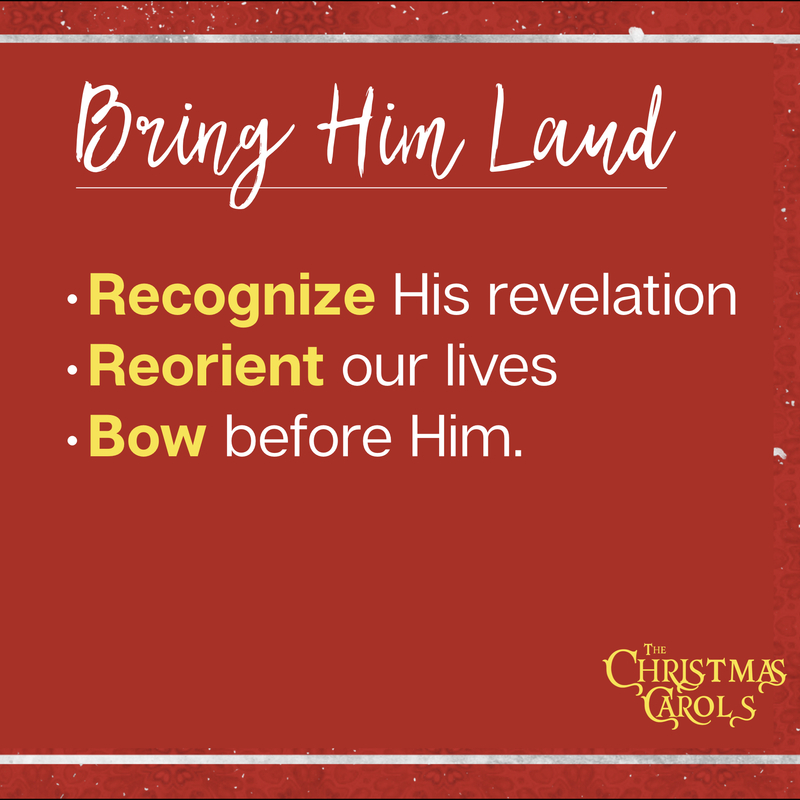 What are some tangible ways in which you can “bow before Jesus” this year?